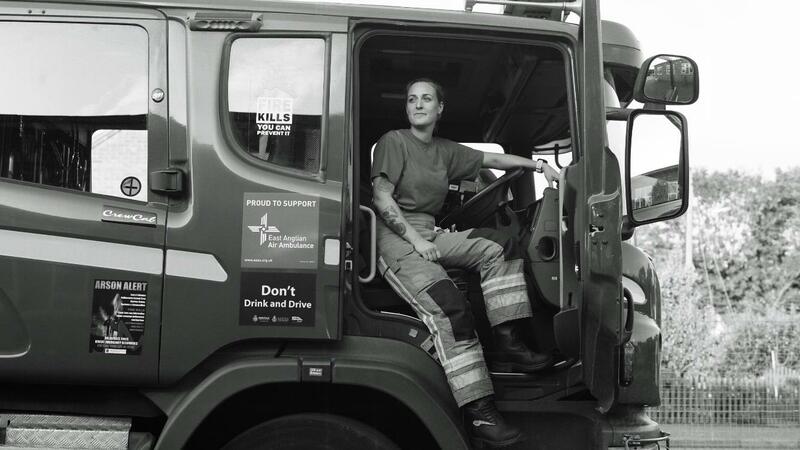 I am a tenacious, hardworking mum to three girls aged 13, 10 and 5 and currently working for Norfolk Fire and Rescue Service as a retained Firefighter in North Walsham and wholetime Fire Fighter on a temporary contract at Great Yarmouth, Blue Watch. Before my journey began in 2012, to encapsulate my working life since leaving school, it has been varied! Seeing me work in office-based roles, working in the hospitality and catering industry which I enjoyed but I never felt I had “achieved” job satisfaction. 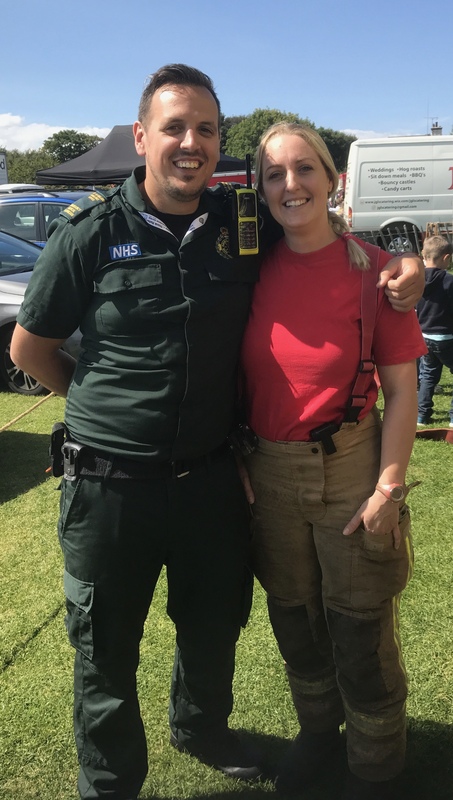 I first considered becoming a Firefighter after talking to my father in law who had served for many years in Norfolk, listening to his stories intrigued me and excited my taste for being part of a team, being physically active and working in a dynamic workplace. My partner Andrew encouraged and supported me to act on this interest, soon after making initial contact with my local station, I meet the crew sat the necessarily written exams and had a medical and fitness test. I attended drill nights and was given a date for my two-week induction. Those two weeks were both physically and mentally challenging, I was hooked! It was everything I had ever wanted; the people I met were great and very supportive. It was a wonderful moment passing with those I had worked so closely with. Once back from training school things took an unexpected turn for me. I found out I was pregnant and so 6 weeks in I went on light duties, never the one to let this be a setback I used the time to study and gain knowledge, oh and not to forget I perfected my tea making skills! The months passed quickly and super keen to get back work after the birth I worked hard on my fitness. Over the next few years, I got stuck in, passing my Breathing Apparatus Initial, Gateways 1 and 2, EFAD (Emergency Fire Appliance Driving) and became a competent Firefighter. I gave a good amount of time to the station alongside working in a café and managing children at school, my family and friends were at hand for those times when shouts clashed with the school and nursery pickups, I was gaining experience and confidence with every job. 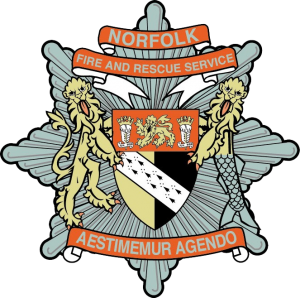 Last year I had the opportunity to work within another part of the Fire service, The Youth development team, as an assistant team leader for a new group in North Walsham. This was a temporary contract until the end of the course through unfortunately there were issues with the numbers meaning I moved to another role. Now in the Community safety team, I was out doing Home Fire Risk Checks in people’s homes, I absolutely loved being part of their team, it gave me satisfaction being able to help, giving guidance and advice, meeting people from all walks of life, sometimes visiting an elderly person who did not get to see anyone for a while. In July I was successful with an application to become a Retained Support Officer, this involved me travelling to stations that needed help with cover, it was very busy with the hot weather, dry spells and field fires. I got to meet and work with others from different stations. I had my under-pinning knowledge and was deemed as competent but mixing with other Firefighters I was learning new skills and ways other crews did things. Then in September, I got asked would I move to Great Yarmouth station to temporarily work on Blue watch. It is just amazing, my crewmates are like family now in such a short time, I have been accepted and welcomed into the team; I can rely on them for support and encouragement. I feel ambitious and excited about what I am learning from their years of knowledge. The shift patterns are also great to run alongside the children and my partner who works as a Paramedic, the 4 on 4 off means I have quality family time. I have had ups and downs over the years but it has been good for my personal development, when the next wholetime recruitment comes around, I will apply and hope to secure this position with a permanent contract. My girls asked me what I have been writing and I explained about this blog. My children individually said what they thought and how they would like to do something like me. My eldest said they want to be brave, a role model, help people and that I have taught them about safety – to be aware and ways to react in different situations, I felt very proud and I think they are proud of me too. I would encourage others to have a go, we all have different skills, attributes which can be put to many different uses, so think positive and push for what you want to achieve.